The Swallowfield Show first took place in 1884. 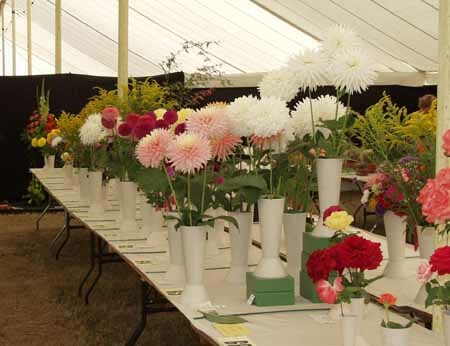 It is organised and masterminded by the Swallowfield Horticultural Society and a large band of volunteers and has grown and blossomed over the years to its present multi-attraction event. In 2018 Swallowfield Horticultural Society won a Queen's Award for Voluntary Serivces for its work in promoting gardening and organising events for the benefit of the community and local charities. Currently the show is held on Sunday and Monday of the August Bank Holiday weekend in the grounds of Swallowfield Park, Church Road, Swallowfield RG7 1TH. 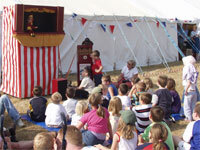 Thousands of people of all ages come from every corner of the South of England to visit the exhibitions and entertainments and either enter or just enjoy the competitions. There is something for everyone somewhere in the showground, whether you are a classic car connoisseur, a horse show hopeful, a dog show diva, or a fun fair fanatic your favourite is covered. And if you love a good competition and thrive on the thrill of winning best in show for your tomatoes, potatoes, onions, fuchsias, chrysanthemums, Victoria sandwich, boiled jam, portrait photos, paintings of the sea or any other of nearly 200 competition categories look no further! 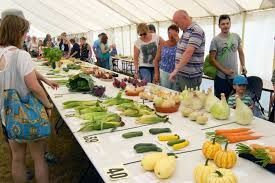 The show is one of the few remaining, flourishing, traditional shows which exhibits home grown country produce and plants.